Our collaboration with Halal Sciences Academy, UK includes conducting world class halal training in order to produce world class halal Auditors. We offer among the most comprehensive halal programme in the world that produces halal elites. We offer both off and onsite training (minimum number applies). 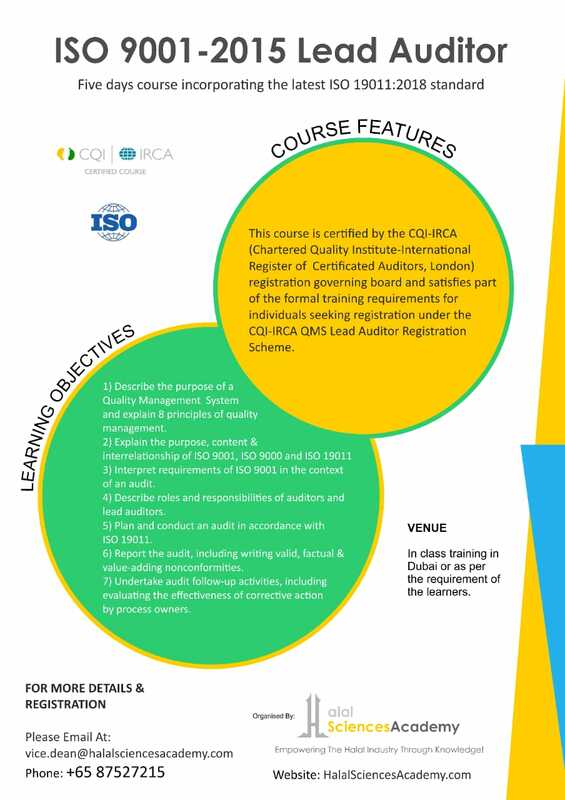 This program will equip participants on how to perform a proper systematic comprehensive audit going through the principles of auditing, ethics, audit activities, etc. 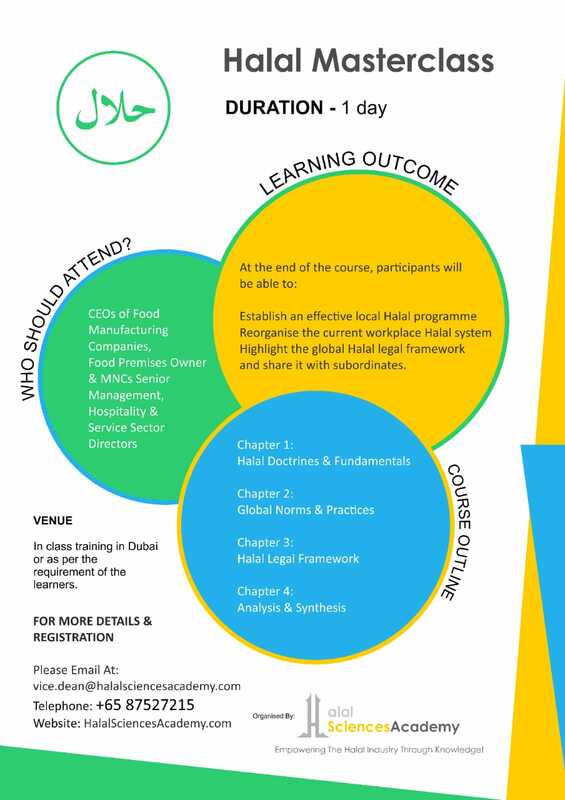 As this topic only covers the operational part of a halal audit, participants should have already familiarise themselves with the other components required i.e. Shariah & Food Science. This programme caters to experience auditors who wants to move into a more comprehensive auditing at the same time promoting halal thoyiban. You’d be surprise on what you may have overlook all these while. 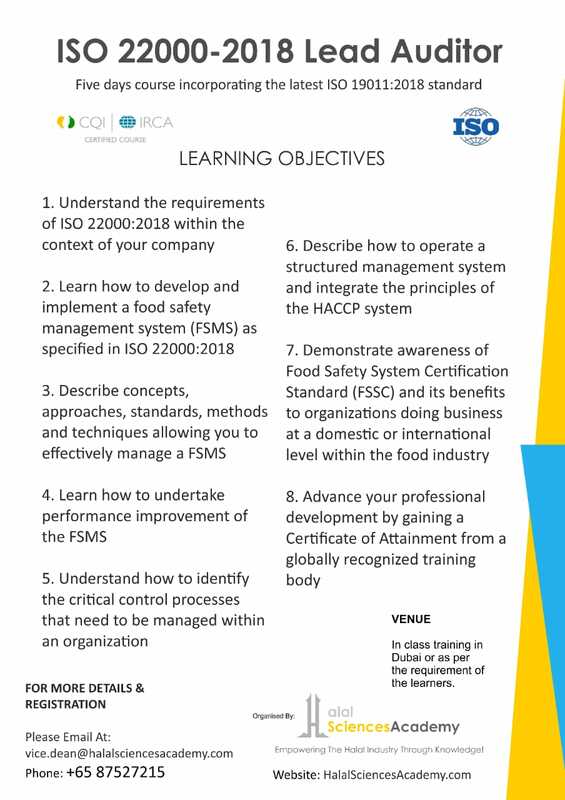 As this topic only covers the operational part of a halal audit, participants should have already familiarise themselves with the other components required i.e. Shariah & Food Science. Halal food laws & Halal standards does apply in certain part of the world. Avoid getting into a legal tussle by attending this one day program which will cover countries policies and local authorities’ regulations. This program is open to all. Halal Management System is a systematic auditing tool first introduced in Singapore in 2007 and had since gained popularity specifically in the South East Asia region with MUIS, JAKIM, MUI and CICOT adopting the technique when dealing with halal applications. This 1 day program is open to all. 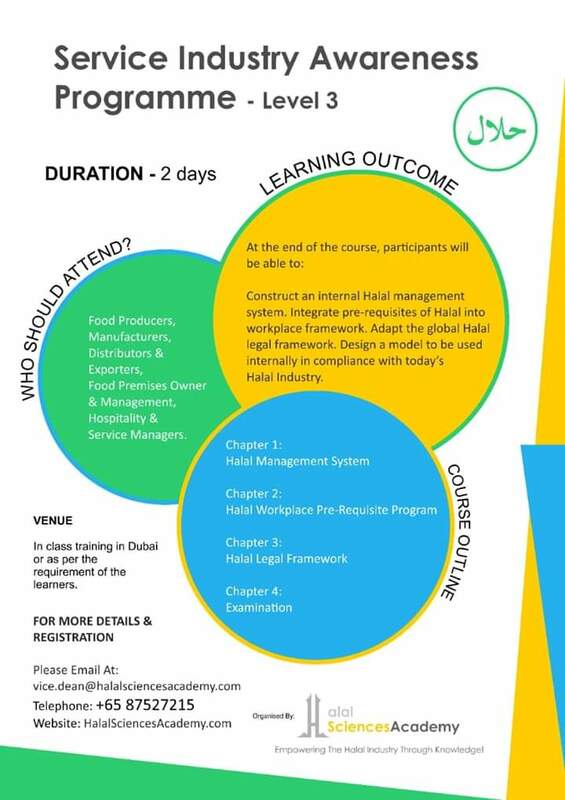 This program aims to equip a Halal Team Lead and/or Member in performing a quality internal halal system audit. Participants would be provided with tools to help them excel in performing a halal audit which includes the setting of the right criteria be it preventive or reactive. This program is open to all. Familiarization Top Management and Managers for halal certification body should attend this program to understand how a certification body should work based on international standards. How to know when the product you handle is truly halal? Halal Masterclass look at the doctrine behind every decision prior to labelling anything as halal or haram. It is a core skill of a certified Auditor to make the right statement. Program duration is 1 day. This 2 days course comes in three levels. Level 1 covers halal basics for operator level. Level 2 covers Supervisory modules while Level 3 is for Managers.